Look who dropped by our store today! This is a 2014 Mazda 3 with a set of OEM Fit Mazda 3 LED Daytime Running Lights. The LED assembly fits flawlessly with the rest of the car to give it a more complete look. The direct fit LED DRL sits comfortably underneath the turn signal lamps and has a nice contrasting look when you’re waiting at the turning lane. 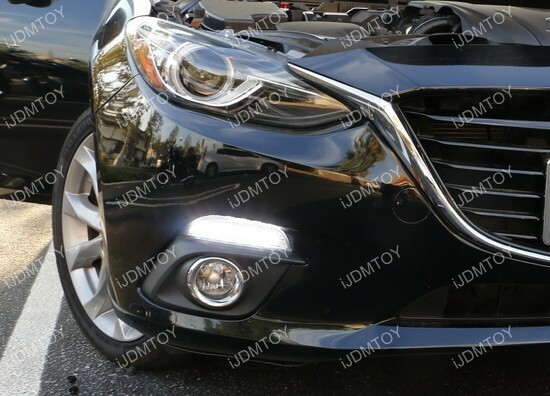 Not only does the LED DRL look like an expensive factory option, but it also looks pretty unique. No one would have guessed that it’s a nice aftermarket addition that costs a fraction of the factory price.